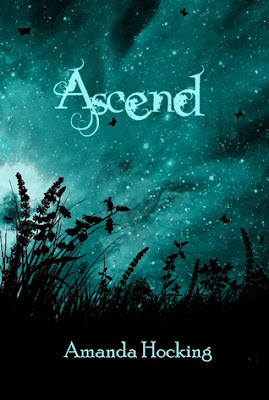 Ascend is the third book in the Trylle Trilogy. I read the book very quickly because I just couldn't put it down. I hated when the story was finished. I started reading this book and just could not put it down. It was read in full in less than 2 days. I was up late into the night reading because I just couldn't get enough... and couldn't wait to see what would happen to everyone. I hate to spoil books for people who haven't read them yet. I will say this... while the story did take a turn I didn't expect... I love how it ended. I just don't love that it actually DID end. I want more. I really did love this entire series. Amanda Hocking's other books will definitely be added to my list in the near future (zombie romance here I come).